Original 1919 farmhouse on LARGE lot with beautiful vintage architectural woodwork and built-ins. Use these architectural pieces as your centerpiece for a remodel or scrape and build the home of your dreams. Beautiful, private, well-maintained, huge lot with wonderful trees for shade. 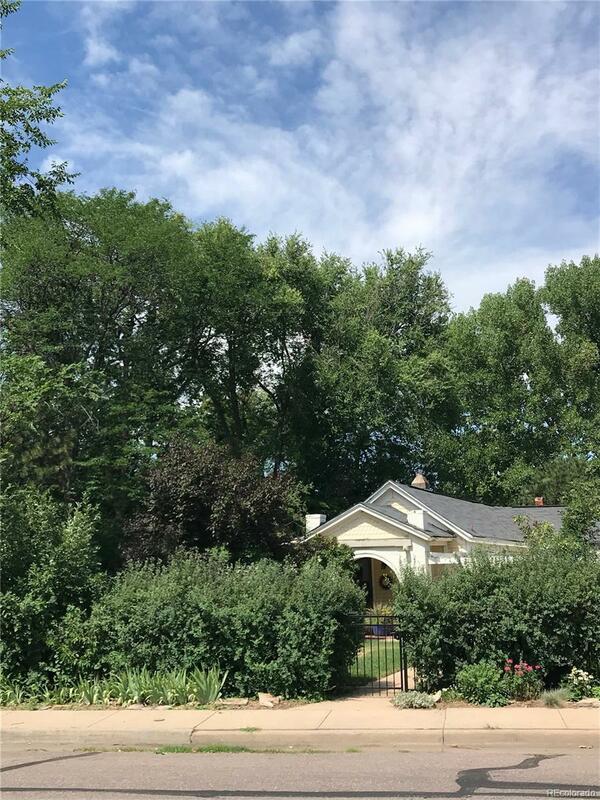 Located between Swedish and Porter hospitals, 4 parks within 1/2 mile radius, close to University of Denver, Washington Park, downtown, light rail and highway. Quiet, wonderful neighborhood with a wide street. Easy access to newly built, heated workshop with storage shed next to it. Greenhouse, garden and the vegetables are growing. Completely fenced. There isn't a lot this size with mature trees and privacy within miles! Lots and lots of potential. This is selling as is. Offered by Park Bench Development.